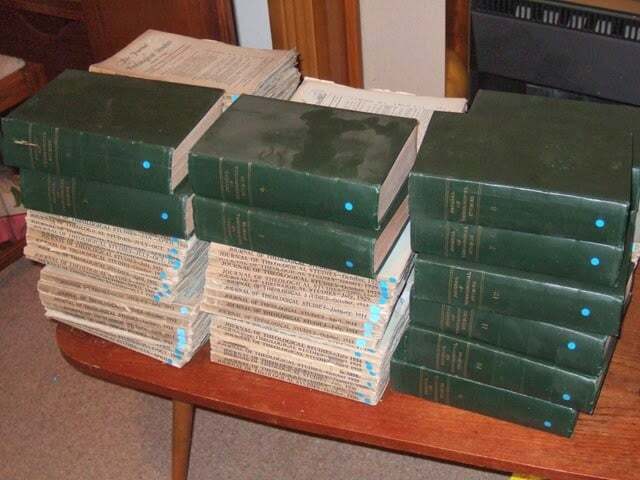 If you use archive.org you will find that the early volumes of the old series of Journal of Theological Studies are available there. Unfortunately, many of the articles are still in copyright because the term runs for 70 years after the death of the author (under UK copyright law). This means that in order to make the material available legally it is necessary to find the date of decease for each author. In 2014, if the author died before the 1st January 1944 then the article is in the public domain. If the material is anonymous, then the term runs 70 years from date of publication. So, after a fair amount of research and the kind donation of a full set of JTS old series I have now completed scanning and uploading all the Public Domain material I can identify from volumes 1-20. It is possible that more will be available in due course as I continue tracking down the dates of decease of more of the authors and, of course, each year more will enter the public domain anyway. You can now access the table of contents here.